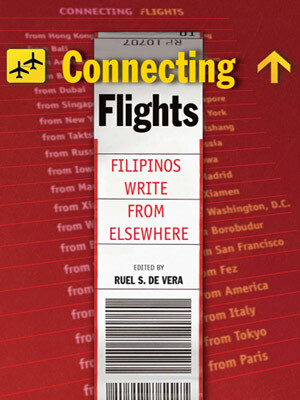 Here’s another Filipino anthology, this time on travelling. Connecting Flights is the perfect read for a) the cash-strapped armchair traveller who's eager to see what else this world has to offer and b) worn out folks who need to satisfy that urge to get away from it all. The book's motley collection of writers that include literary greats like Jose Dalisay Jr. and Alfred Yuson, Sago Frontman and spot blogger, Lourd de Verya, Twisted pioneer Jessica Zafra and even sportscaster Sev Sarmienta will take you on a trip around the globe, enticing you with its promises of exciting new lands, multi-sensory experiences, and curious personalities. Breathtaking landscapes fused with hauntingly beautiful prose, you'll soon find yourself walking along the cobblestone streets of Amsterdam, inhaling the peace and tranquility of Bhutan, getting intimate with the colorful characters in New York City, and pining for love in the Paris air. Reading through Connecting Flights, one is taken on a journey searching for a pasalubong, a famous landmark, and an adventure. So put on your travel shoes, lean back on that easy chair, and take a trip with these gifted writers. No need to pack your bags or for a passport. Let them take you along on a global sojourn – unjetlagged and still a few pesos richer.